We desperately need more volunteer drivers. People with sight loss can often find themselves isolated and lonely, stuck at home. Two thirds of people with sight loss rarely or never go out. Would you like to help people enjoy life and be a part of their community again? We run lots of activities for people out and about, but we need to get them there…and that’s where you come in! Just get in touch to tell us where and how often you’d like to drive and we’ll talk to you about what it involves. We can help you get a police (DBS) check and provide training by our lovely experts. Then, once you’re all set up, one of our friendly team will call you and schedule some pick-ups. 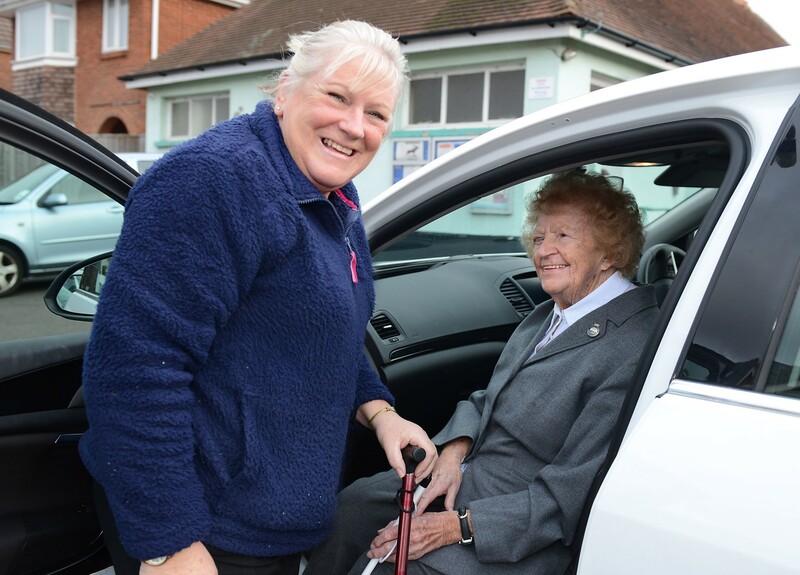 Usually, you’ll pick up a few people from their homes in the same area and take them to a joint activity such as a social club or an event, where they will be met by our team. Later, you come and collect them and drop them home. You can even stick around and have a cup of tea or get involved if you like – it’s really up to you. Expenses are paid and you also have the full support of our friendly staff. If you would like to be a hero and help a visually impaired person get out and about then we would really like to hear from you. You can phone us on 01202 712865 or visit us in our centre at Poole.